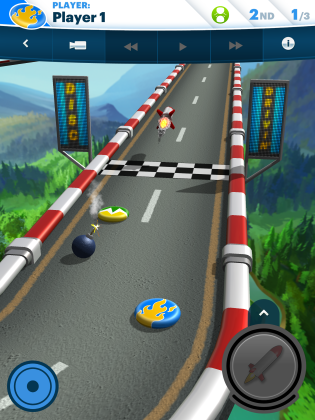 Faceoff with friends in a turn-based, disc-swiping race as you compete to be the first to get your disc around the track. Tackle tracks with sweeping curves and elevation changes in physics-based environments. Play at your own pace as you master the action-packed sport of disc drivin’. Pilot your Danger Boat against an onslaught of rocks, missiles, waves, whirlpools, and more. Free, ad-supported version of Disc Drivin'. Enjoy all of the racing fun in the full game. Want even more ways to find out what we're up to? Follow us on Twitter and Facebook. Copyright © 2010-2019, Pixelocity Software LLC, All rights reserved.